Chuck works on Amazon Alexa, Google Assistants, and Echo dot smart speakers and can be downloaded, similar to an app, by searching Chuck Knows Beef. Chuck knows beef … and he's "meating" beef fans in the kitchen with the knowledge of a rancher, the skills of a chef, and, as one ad reads, the humor of a dad. Chuck is a beef expert brought into kitchens and to consumers through artificial intelligence and smart speakers, and is one way the Beef Checkoff is reaching out to home cooks to make beef their first choice. 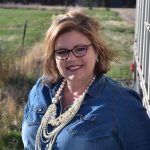 Todd Inglee, the interim executive director of the Colorado Beef Council said Chuck is one of the projects made possible through the Beef Checkoff. "The guys at the national level started working with Google Analytics and their engineers and developed this artificial intelligence, a skill," Inglee said. The skill is a database that can turn a voice command into a query and then checks the database for an answer. A consumer can ask Chuck how to cook a flatiron steak, for example, and receive an answer from the database, formulated by beef experts. "They've programmed Chuck with all sorts of information and answers to questions," he said. "The neat thing is it'll learn and come up with new answers if you ask it questions it doesn't know yet." Engineers are alerted to these "unanswered" questions and the beef industry experts supply the appropriate answer and information, allowing Chuck to answer the previously unanswered question and broaden the database. Chuck's database is programmed with information about beef cuts and their preparation, recipes, nutrition information, how cattle are raised and other common questions from consumers. Inglee said marketing efforts over the past several years have targeted the millennial consumers who make up much of the current and future consumers for the next 40 years. Data capture associated with apps like Chuck allow marketing efforts to be targeted to certain demographics and measure the success of the efforts based on website visits and clicks. Chuck is being featured at the National Western Stock Show with iPads at the booth in the Hall of Education to allow consumers to give Chuck a try. The event, he said, is one of the Beef Council's biggest consumer interface opportunities of the year. Chuck was released in November, making Denver one of its biggest debuts. "People are fascinated when they learn about whatever random question they ask and the answer it gives them, they're pretty amused by that," he said. Novelty aside, Chuck can be used on desktops, laptops, tablets, phones, and, most popularly used on smart speakers. Of the consumers with smart speakers, about 20 percent of Americans, over 40 percent use their smart speaker in their kitchen, allowing Chuck to literally meet consumers where they are. "That's where we see our sweet spot to meet the technologically savvy consumer," he said. "It's estimated by 2020, 50 percent of all internet searches will be done using voice commands."